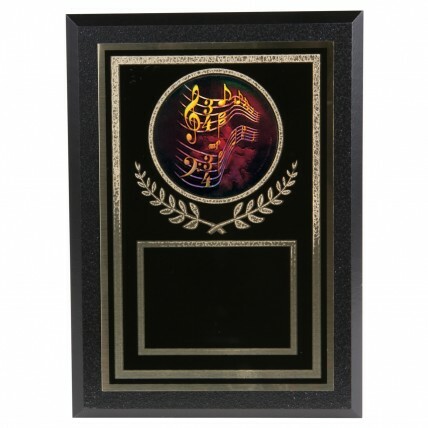 Recognize the unique skills of a special musician with the Harmony Music Plaque. 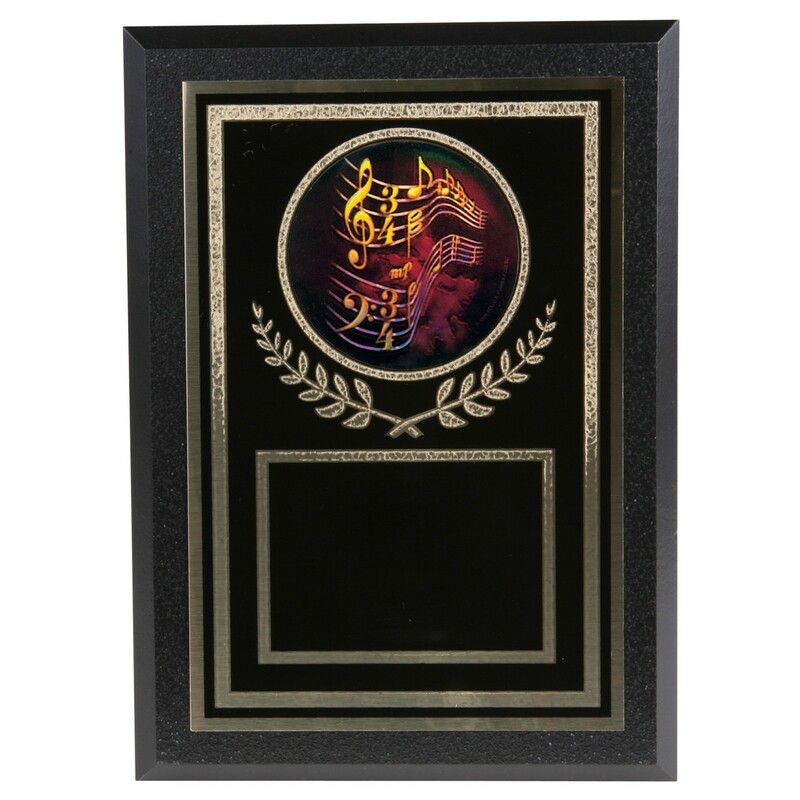 Measuring 7 inches tall by 5 inches wide, this black simulated wood music plaque features a black brass plate with gold accents, including a Florentine border. The middle of the plate showcases a full-color holographic insert of a rainbow of musical notes.